There has never been more pressure on businesses to keep pace with the hyper-competitive digital environment and deliver a wide range of digital capabilities. In our new ‘Essential Digital Marketing Tools for Brands’ knowledge series, we explore the most relevant tools that marketers can and should leverage right away to drive digital visibility and RoI for their brands. Today, we talk about Chatbots, why they’re a big opportunity, and ways for brands to start leveraging them for business. A Chatbot is a computer program that conducts a conversation via auditory or textual methods. Most Chatbots use Artificial Intelligence (AI) and Machine Learning (ML) algorithms to process language, mimic a conversational interface, communicate and perform tasks for a user. Such programs are often designed to convincingly simulate how a human would behave as a conversational partner, thereby passing the Turing test. The Turing test essentially assesses the machine’s ability to exhibit intelligent behaviour equivalent to, or indistinguishable from, that of a human. Today, many websites use Chatbots to manage and guide their customers and clients. They are typically used in dialog systems for various practical purposes including customer service or information acquisition. They can also be integrated with E-commerce platforms, allowing brands to monetize their social media accounts and instant messaging profiles. There are two types of Chatbots – those that function based on rules, and those that are supported by an AI Natural Processing Language (NPL) engine. NPL, integrated with artificial intelligence, allows a Chatbot application to understand human speech, text messages, images etc. Chatbots that have rule based functionality are comparatively more limited than those that work with AI as they only respond to specific commands; and AI-based bots need somewhat more complex integration than the basic rule-based bots. AI-powered Chatbot tools are more dynamic as they respond to language and do not require specific commands. They are continuously learning from the conversations they have with users and can therefore help fulfill an array of tasks without monumental amount of programming. The biggest advantage of using bot tools is that they are robust and have very good infrastructure support in terms of compute power. Secondly, they are pretty easy to learn and use as most of these tools provide GUI interfaces for creation of the bots. As these are all API driven and SaaS modules, there is no need for any type of coding as such. The deployment of the bot is an easy process too. Which Chatbot tool to opt for? IBM’s Watson Conversation allows you to quickly build, test and deploy a bot or virtual agent across mobile devices and messaging platforms (like Slack) or even on a physical robot. Conversation has a visual dialog builder to help brands create natural conversations between apps and users, without any coding experience required. With API.AI, marketers can create conversational scenarios within minutes; then build advanced dialogues to manage the conversation flow with the user. Once the agent is built, it can be integrated with SDKs. When the product is launched, it constantly improves through machine learning and can be updated in real-time, based on user interactions. These APIs can be used for wearables, apps, automotive industries, Smart Homes as well as Smart TVs. Lex is a service for building conversational interfaces into any application using speech and text. Amazon Lex provides the advanced deep learning functionalities of automatic speech recognition (ASR) for converting speech to text, and natural language understanding (NLU) to recognize the intent of the text. This enables marketers to build applications with highly engaging user experiences and lifelike conversational interactions. Facebook Messenger lets brands building their own bot directly through the platform’s landing page. Though this method may be a little bit more complicated, there are many helpful resources that Facebook Messenger provides to make the task easier. 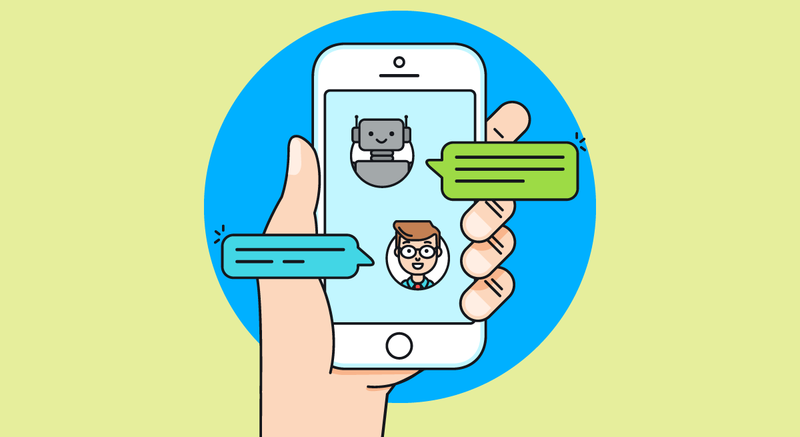 With full-fledged guides, case studies, a forum for Facebook developers, and more, you are sure to become a professional Chatbot developer in no time. Chattypeople is the best chatbot platform for creating an AI chatbot on Facebook with Facebook commerce integrated. With Chattypeople, marketers can create a Facebook message quickly and easily with no coding required. The platform’s simplicity makes it ideal for entrepreneurs and marketers in smaller enterprises. You can make a simple bot that can answer customer service questions and integrate it with your website. To empower your digital business with high-value Chatbots for any use case or channel, speak to us. 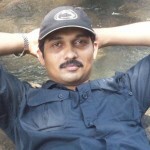 This entry was posted in Consumer Experience, Ecommerce by Manoj Karunakaran. Bookmark the permalink. An adventure sports enthusiast, and Technology Head at BC Web Wise. Great post Manoj! This is a very helpful post. All the relevant information are given here. Very well explained and written about chatbots and AI. It was quite helpful indeed. Not only does Digital Marketing, but other industries also benefit. A little more business integrations and better customer experience will work out wonders. I came across a chatbot platform called Engati which guided me to design a chatbot within 10 minutes and no coding. You too can give it a try at building a bot in less than 10 minutes. Engati is a chatbot platform that allows you to build, manage, integrate, train, analyze and publish your personalized bot in a matter of minutes. It presently supports eight major messaging platforms including messenger, Kik, telegram, line, Viber, Skype, slack and web-chat with a focus on customer engagement, conversational commerce, and customer service and fulfillment.